Brennan, Claire, Ryder, Jane, Styan, Anthony, Liebich, Susann, and Ortega Martinez, Maria Liliana (2015) Between Battles: commemorating the cultural lives of soldiers. This exhibition explored the cultural lives of soldiers, a topic that permeated every aspect of soldiers' experiences of the First World War but that is rarely commemorated. 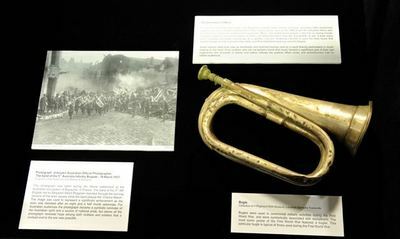 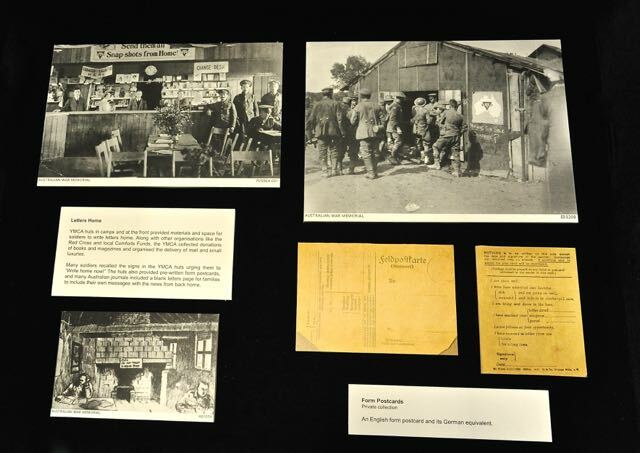 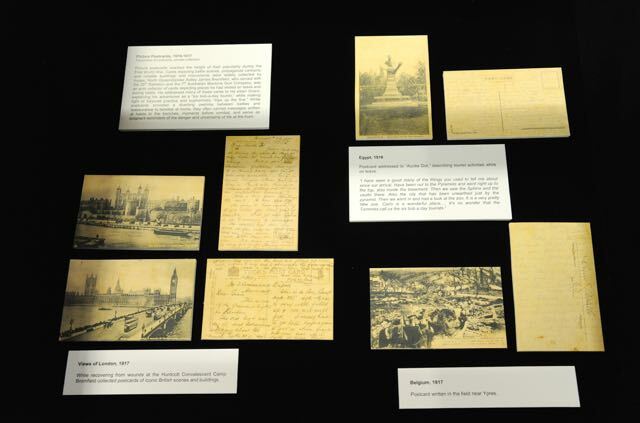 The exhibition revealed that a wide range of cultural activities were undertaken by soldiers including reading, writing (both personal and for publication), musical performances, craft, and experiences of travel. 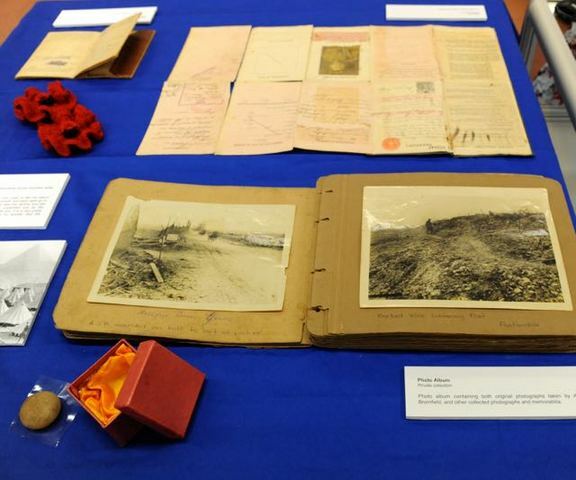 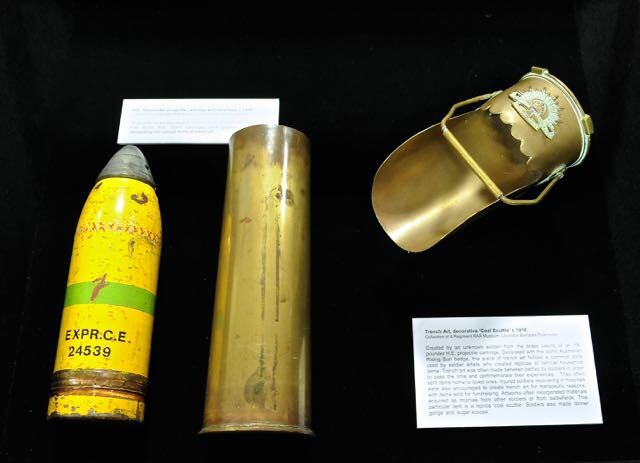 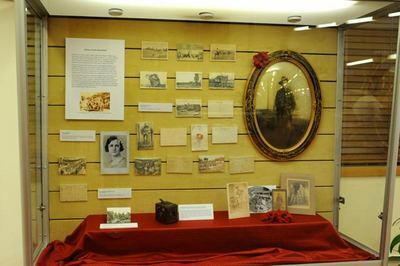 Kind assistance from the family of Astley James Bromfield allowed the exhibition to include items from the family's collection and to explore a North Queensland soldier's experiences of the War. 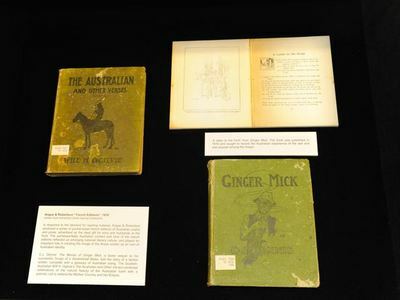 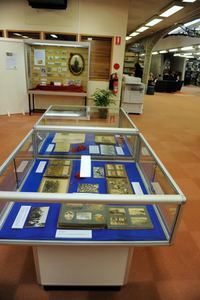 The exhibition drew on significant original research conducted using the resources of Special Collections at the James Cook University Library. 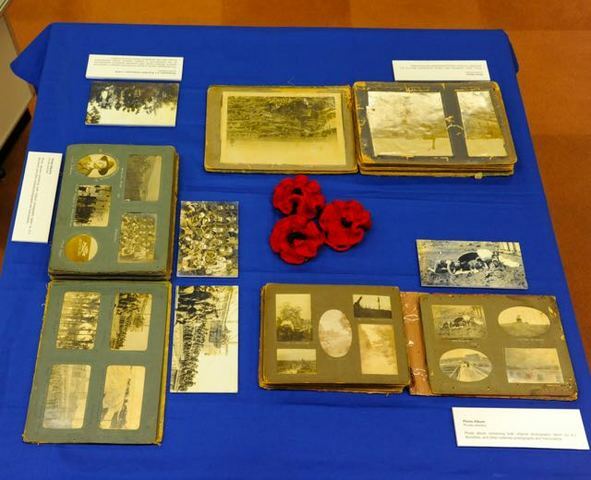 It presented items held by that library, items from the 4RAA Museum Collection, and material generosuly loaned by the family of Astley James Bromfield. This work was funded by the Department of Veterans Affairs as part of the 100 Years of Anzac Anzac Centenary Local Grants Program. 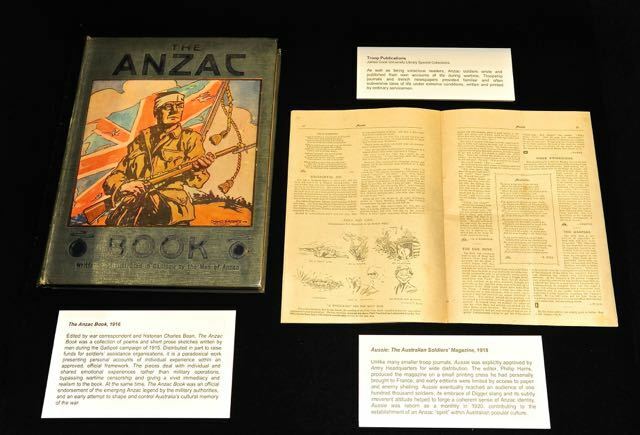 It explored the cultural lives of soldiers using collections available in Townsville and included a specific focus on the experiences of North Queensland soldiers. 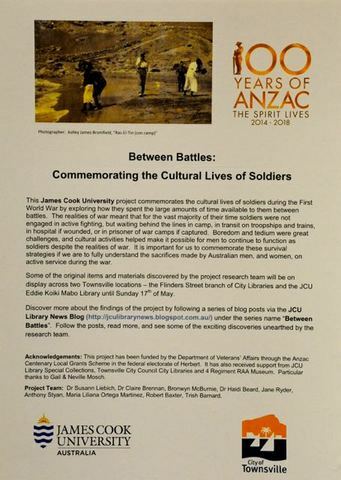 This exhibition furthered understandings of the cultural lives of Anzac soldiers. 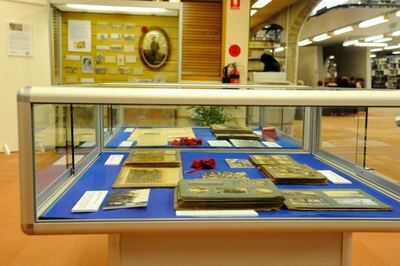 It presented its findings to the Townsville community through public displays in evocative locations but also made its findings available to a global audience through the production of a research blog. 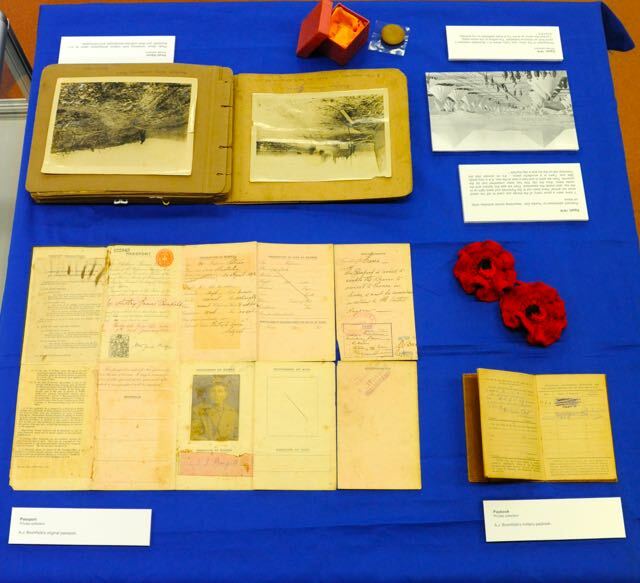 The electronic component of the project remains permanently available. This project involved original research focussed on local collections of objects. 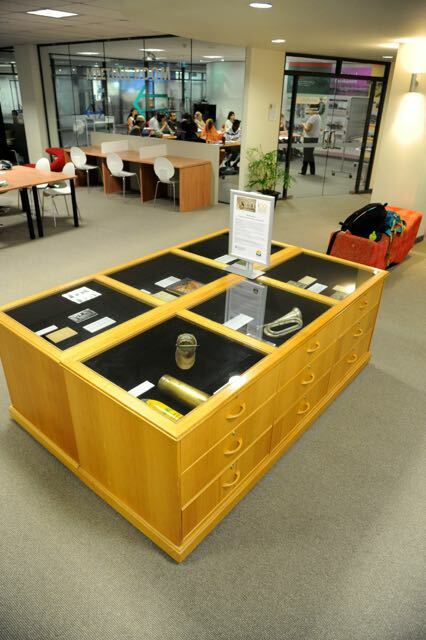 It drew on the resources of Special Collections at the James Cook University Library.